Single malt Scotch remains a distiller’s pièce de résistance in a portfolio. Single malt Scotch—made with whiskies from a single Scotch distillery—remains one of the showpieces of the spirit world. To consumers, it’s still the bottle most likely to be given as a gift—to someone special, or to yourself. To distillers, it’s often the pièce de résistance in a portfolio. As this month’s crop of top bottlings shows, Scotch whisky continues to evoke terroir, from delicate honey-and-floral Speyside to ferociously peated, briny Islay. Now more than ever, limited editions and single barrel Scotches make up a growing, but ever-shuffling part of the category—now you see em, now you don’t. No wonder some people collect single malts in libraries, travel to Scotland to try elusive offerings and keep fervent tasting diaries. While Scotch distillers bear some of the most draconian restrictions in what can and can’t be used to make Scotland’s namesake whisky, there’s still no shortage of creativity. Some clever importers acquire barrels from distilleries that have shuttered or changed hands; meanwhile, distillers experiment with cask finishes, barrel woods or charring techniques. 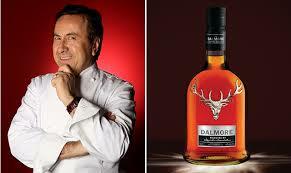 Consider Chef Daniel Boulud’s new bottling in conjunction with The Dalmore: made from three batches of Scotch (all from the same house, so still considered a single malt), each finished in casks that previously held wine or fortified wine, then blended together for a toothsome, remarkably food-friendly result. With all of the industry buzz about flavored whiskies going on right now, it’s easy to forget how gorgeous and varied single malt Scotches can be—no flavorings required. Just amazing whisky and—since many of the best Scotches are bottled at cask strength—a good dose of water is all that’s required in the glass. Here are six recently rated top picks.